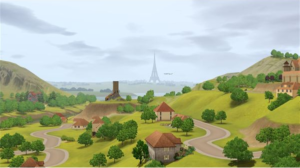 The photography skill was one of the three new skills included with The Sims 3: World Adventures expansion pack. The Sims 3 photography home decor skill is able to be learned by Sims from the Child stage through to the Elder life stage. There are themed photo collections that your Sims are able to take pictures in. This encourages you to take pictures of all different types of categories for your Sim’s collection. There are many rare photos that are not easy to capture, so Sims will need to venture to some rare locations to finish an album. These can include capturing a Sim cooking, a ghost, a mummy, and much more! Sims may only purchase cameras from World Adventures neighborhoods of Shang Simla, Al Simhara, and Champs Les Sims. Snap Tastic Flimsy-Cam is the cheapest option for a camera that resembles the cheap throwaway one use ones available. It doesn’t take very good quality Sims 3 photography home decor photos. It offers only small portraits, unless you are level 10 in the skill, then it offers panorama size too. This camera also offers two different color settings. Generally just for child Sims to practice with. ChannonTec Outlaw Se is a camera of pretty good quality. It takes small portraits and medium landscape photos, unless you are level 10 in the skill, then it offers panorama size too. This camera also offers three different color settings. It is a good starter camera. Hikon QX40di Gladiator is the best quality camera available. This camera takes all sizes of pictures that the Sim’s photography skill level allows them to. This camera offers all three different color settings, and takes fantastic photographs! If your money allows, this is the camera for your Sim. If not, maybe try a Sims 3 money cheat! Cellphones have the ability to capture photos, but they do not raise the photography skill. They only benefit for taking pictures with the cellphone is for painting purposes. Most of the premade Sims that are included in the World Adventures expansion pack come with a high photography skill and a ChannonTec Outlaw SE camera. Your Sim can also get their friends or random Sims to pose for their photos. When interacting with the Sim, “Ask Sim to Pose” and they will pose for your take their picture. They pose through a random set of poses pretty quickly, so be ready to take the picture right after you ask them to pose! Once you start taking pictures, your Sims can keep the photos in the camera, until it gets full. Then, you need to decide to either sell the photos, or keep some. 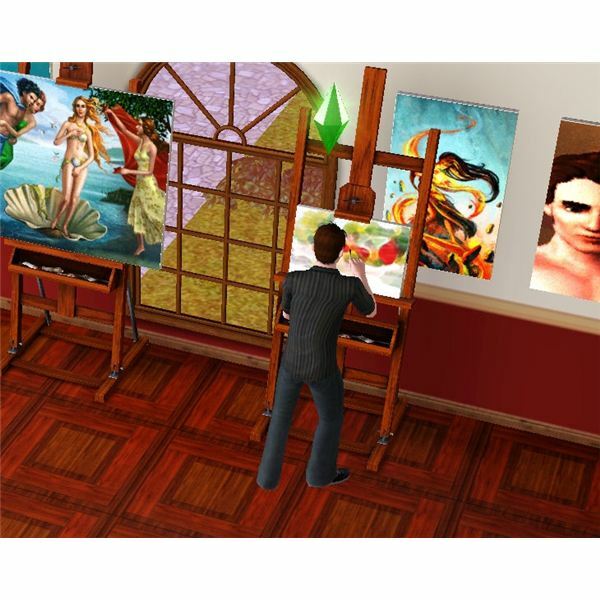 The Sims 3 photography home decor is another fun option to decorate your Sim’s home with. You can hang it on your walls, or even decorate other’s homes with it if you have The Sims Ambitions design profession. After you take a picture, your Sim can remember it and paint a picture of it. This only works well if your Sim also has a rather high painting skill too.